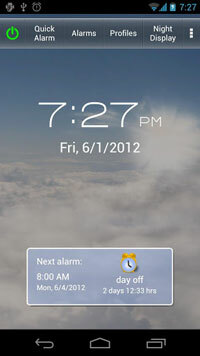 If you r Vetro is on a network, start Vetro Data Manager and right-click the image of the first Vetro clock. Choose “Network Functions” from the pop-up menu, then “Get User Setup from Clock.” Now right-click the clock’s image again, choose “Network Functions” and click “Transfer User Setup to Clock.” Completing those two steps ensures the clock is in sync with your software. Repeat the two-step process for each Vetro clock. Q. Once the data is downloaded from my Extreme or Vetro clock to my USB drive, can the files be emailed? Or does the USB drive have to physically go directly from the timeclock to the computer that runs TimePilot Central? A. Yes, the files from the USB drive can be emailed. However, whoever receives the e-mail must copy the files onto to a USB drive to be able to import them into TimePilot Central. Not just for women: The wristwatch was strictly a women's item in the early 1900s. Men carried pocket watches and some said they would "sooner wear a skirt as wear a wristwatch." That changed in World War I, when soldiers found pocket watches impractical and began attaching them to their wrists with a strap. Wristwatches aren't as popular as they were 20 or 30 years ago; ask anyone under 30 for the time and chances are they'll pull out their cell phone. Speed reading: A few years ago, web site designers found that people wouldn't wait more than about four seconds for a page to appear on their screen. Since that study, people have become even more impatient: Now, thanks to broadband, if they don't see something on the screen within a quarter of a second, they tend to leave. “Two hundred fifty milliseconds, either slower or faster, is close to the magic number now for competitive advantage on the Web,” said Harry Shum, a computer scientist and speed specialist at Microsoft. TimePilot Q&A: Deleting employees and e-mailing data. TimePilot Best Practices: The Backup-Restore Utility. The Deal: Tech Support 25% off. The bottom half of the screen shows a list of backed up Current Transactions that are available at the Backup Location at the top of the screen. When one is highlighted, its creation date is displayed at the bottom of the screen. When you click the “Back up Extracted Time Periods” button, the screen above will appear.